It was found during routine excavations at the 11,500-year-old site of Göbekli Tepe in southeast Turkey, but no one had recognised exactly what the carved lines on the small bone plaque showed. That was until Matthew Smith, a British telecommunications consultant living in Qatar, visited Sanliurfa’s new archaeology museum, which contains a large collection of objects found at the proto-Neolithic site located just 8 miles (13 kilometres) away towards the northeast. He would seem to have recognised something everyone else had missed, and this was that the little plaque – just 6 cm in length, 2.5 cm in width and 3-4 mm in thickness – bore on its upper surface two T-shaped features positioned side by side (see fig. 1). 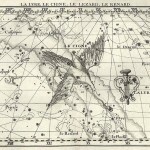 The context of the plaque’s discovery, i.e. at Göbekli Tepe, makes it clear these T-shaped etchings are pictorial representations of the T-shaped pillars found in all the key enclosures uncovered so far at the site. So minute, so contained, are these carved images of T-shaped pillars on the bone plaque that it is unlikely anyone else would have had sharp enough eyes to correctly identity what it showed. 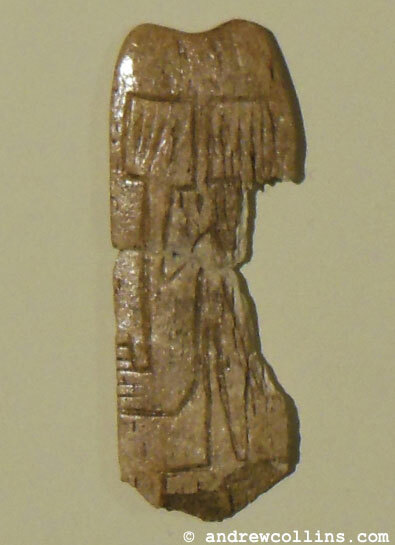 Certainly, the exact nature of the plaque’s highly significant carved art was missed by this present writer, who was alongside Matthew Smith when he made this extraordinary breakthrough in our understanding of the unique mindset of the Pre-Pottery Neolithic culture responsible for the construction of Göbekli Tepe. Indeed, the plaque’s highly significant etching has probably been overlooked by everyone, as nothing about it has appeared in print to date. So what exactly does the tiny bone plaque, on display in a glass cabinet since the new museum’s grand opening in May 2015, actually represent? 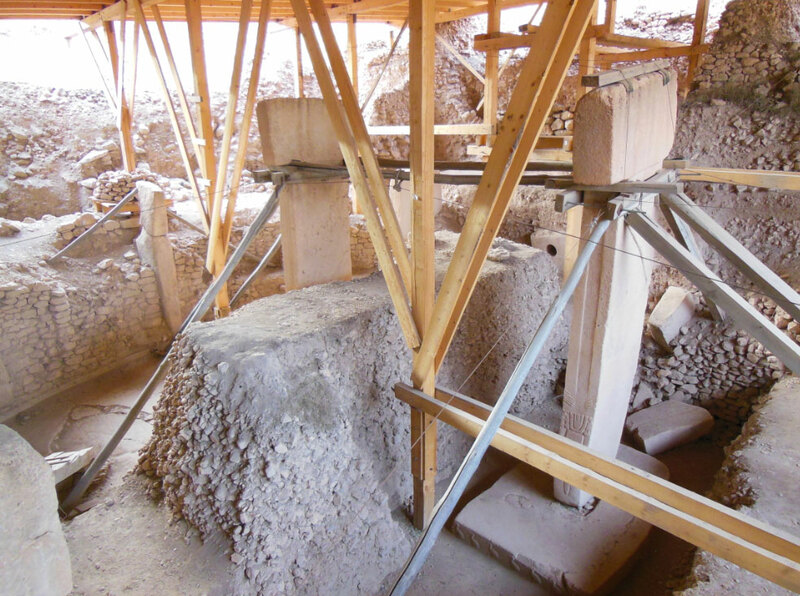 That two T-shaped pillars are displayed side by side, their heads clearly visible, implies they signify twin pillars like those placed at the centre of all the major enclosures investigated so far at Göbekli Tepe. Some of these twin monoliths, like those in Enclosures C and D, were originally 5 to 6 metres in height and weighed as much as 15 to 20 tonnes a piece (see fig. 2). 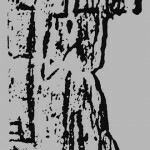 Although these twin central pillars are always turned edge on towards the entrant when approaching from the south, the direction of entry into the main enclosures, the artist responsible for the carved imagery on the bone plaque has most likely depicted the pillars face on to ensure that the viewer knows exactly what he or she is viewing here. Exactly which enclosure is depicted on the plaque might never be known. 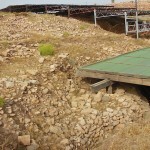 Although seven major enclosures have so far been investigated at Göbekli Tepe, radar and geophysical surveys carried out at the site indicate that as many as 20 more of a similar size and complexity await discovery beneath the site’s 300- by 200-metre occupational mound, constructed over a period of some 1,500 years before the site’s final abandonment in around 8000 BC. Confusing the matter still further is that the plaque may not have been found at its place of manufacture. Earth, rubble, stone chippings and human debris were constantly moved around during Göbekli Tepe’s heyday in order to act as infill for those enclosures no longer in use. In other words, it could have come from anywhere on the site before its final burial. Why then was the bone plaque created? Even though it bears no holes that might indicate its use as a pendant, the chances are it was created as an amulet or talisman. Capturing the likeness of the twin central monoliths in one of the enclosures at Göbekli Tepe was perhaps thought to imbue the bone plaque with some kind of mystical energy or link with the site. Moslem pilgrims on the hajj pilgrimage to Mecca can buy pendants showing the Kaaba, the square-shaped building at the heart of the religious sanctuary, which are considered to bathe the beholder in “good luck”. Arguably the bone plaque was created with a similar purpose in mind. Yet the plaque’s importance as the first recorded pictorial representation of T-shaped pillars at Göbekli Tepe is just the beginning of the story. A more detailed examination of its carved imagery shows various other truly remarkable features. For instance, it might well be one of the earliest known examples of a three-dimensional perspective in carved art. This can be seen about halfway down the right-hand edge of the left pillar. Here a line rises at an angle towards the centre of the image. This rising line appears to depict a retaining wall linking the pillar with an inner area of the enclosure. 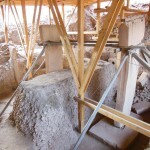 At Göbekli Tepe the pillars making up the stone circles that surround the twin central monoliths are set within retaining walls, their blocks held together by a light mortar. Centrally placed below the plaque’s twin pillars is what looks like a pedestal, from which rise two lines that converge at the centre of the plaque. Visually, these convey the impression of a walkway leading into the enclosure, the lines converging through the process of parallax. Just as intriguing as this use of 3D perspective is the fact that the convergence of the various lines in the centre of the plaque gives the added impression of a long legged stickman, standing either between or in front of the twin pillars on the plaque (see fig. 3). This does not appear to be coincidence, implying a multi-layered interpretation of the carved imagery, something already noted in the prehistoric art of Göbekli Tepe’s Pre-Pottery Neolithic culture. 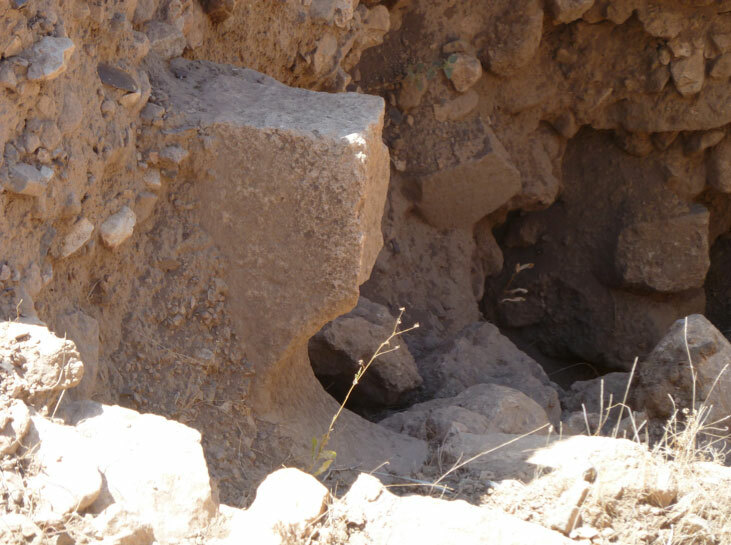 At another Pre-Pottery Neolithic site named Nevalı Çori at the extreme northern end of Sanliurfa province a large stone head was found with its face sliced off. It has a completely shaven head, save for a long tuft or lock of hair, similar to the sikha sported by Hindu priests. Yet in addition to acting as a stylised ponytail, the curled tuft doubles up as a rising snake with a crescent-shaped head that has an uncanny resemblance to the head and stalk of a Psilocybin-like mushroom. Even more remarkable is that above the head of the plaque’s stick figure, and directly between the T-shaped heads of the pillars, is a very distinct pecked hole. 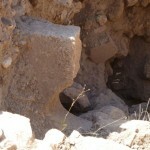 Left and right of this hole are short vertical lines that make the image resemble the rectangular holed standing stone positioned centrally behind the twin central pillars in Göbekli Tepe’s Enclosure D (see fig. 4). This was something pointed out by my colleague Hugh Newman moments after Matthew Smith’s own dramatic discovery in Sanliurfa Museum in September 2015. 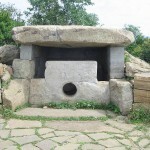 A similar holed stone is seen in exactly the same position next door in Enclosure C. Yet this example (officially designated Pillar 59) is on its side and fractured across its circular aperture. In both cases (see figs. 5 & 6) the holed stones are located in the north-northwest section of the enclosure’s retaining wall at a position that reflects the exact alignment of its twin central monoliths. 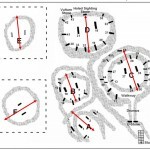 This suggests that these standing stones, with circular apertures around 25-30 centimetres in diameter bored centrally through their widest faces in order that someone standing within the structure could gaze through their openings, had formed a key role in the religious beliefs and practices of the Göbekli builders. Indeed, their positioning would indicate they acted as the structure’s altar or holy of holies, forming a bridge or point of connection between the liminal space created by the enclosure’s interiors and the otherworldly realms and supernatural forces thought to exist beyond the physical world. 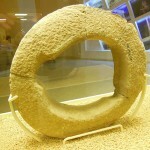 Although the late Professor Klaus Schmidt, the head of excavations at Göbekli Tepe between 1994 and his untimely death in 2014, never commented on these holed stones seen in two of the most accomplished enclosures so far uncovered at Göbekli Tepe, he did pass comment on the fragments of strange stone rings found at the site (one of which is now on display at Sanliurfa Museum – see fig. 7). These, he suspected, had been placed in the walls of now lost enclosures and acted as seelenloch, a word in his native German language meaning “soul hole” (Schmidt, 2012, 99). 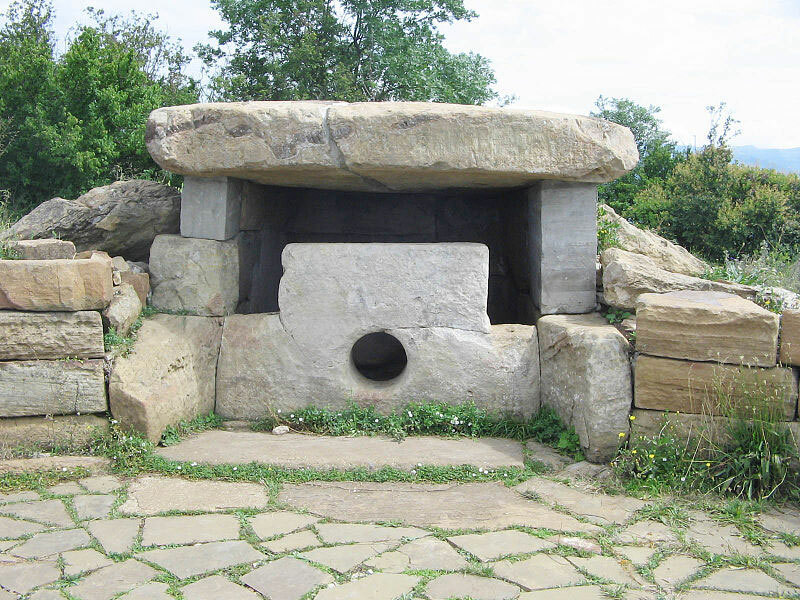 Seelenloch are found in connection with a large number of megalithic dolmens of Neolithic and later Bronze Age manufacture from Ireland in the West across to India in the East, with by far the greatest concentration existing in the North Caucasus region of southwest Russia. These take the form of circular apertures centrally bored through the structure’s entrance façade (see fig. 8). 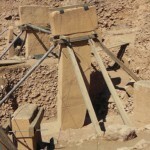 Generally, these openings, which like the examples at Göbekli Tepe are usually between 25 and 40 centimetres in diameter, are too small to enable a person to pass through easily. 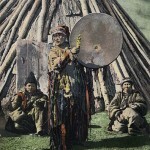 Shamanistic practices in various parts of the world incorporate the idea of a symbolic hole, either in a rock, in the ground, within a tree, or in the roof of a yurt or tent, that enables their soul to leave their physical environment and enter the Upper or Lower Worlds while in altered states of consciousness (see fig. 9). 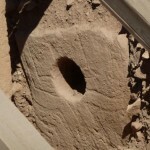 Very likely the soul holes in megalithic structures, like those seen at Göbekli Tepe, acted in a similar capacity. 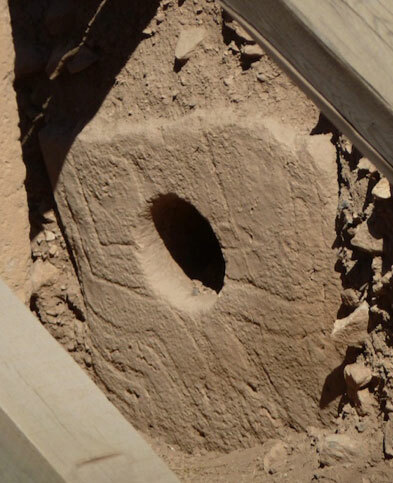 That a pecked soul hole should appear between the twin pillars on the carved bone plaque found at Göbekli Tepe is a revelation, as it intensifies the already heated debate over the direction of orientation of its main enclosures. 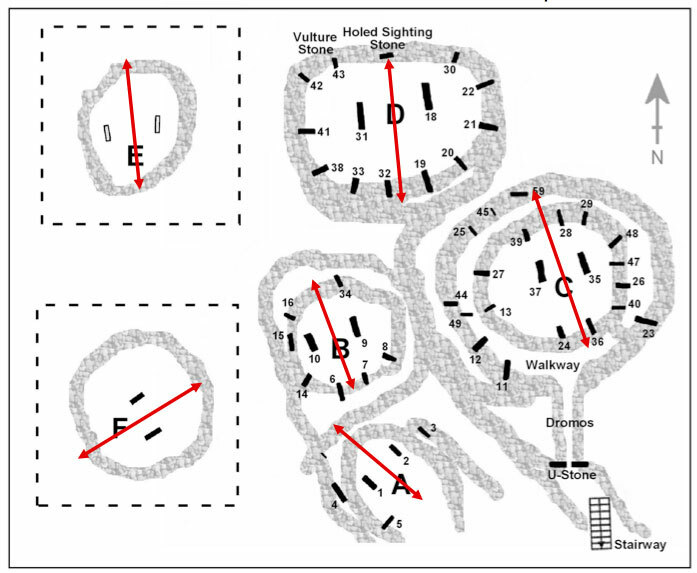 The existence of the soul hole stones, the fact that the carved relief on the twin central monoliths faces the entrant approaching from the south, along with the southerly placed entrances into the main enclosures, all strongly indicate that these prehistoric cult structures were aligned towards the north (see fig. 10). 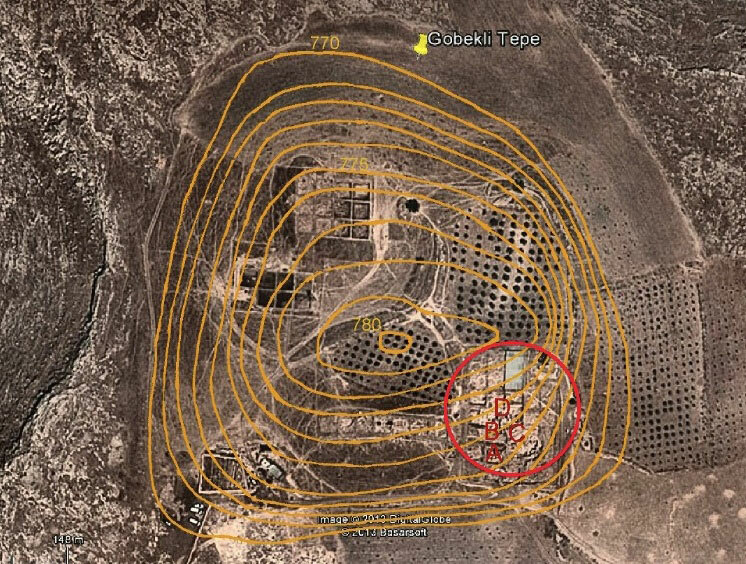 Some researchers of the ancient mysteries field have chosen to ignore these data and announce that the twin central pillars of key enclosures at Göbekli Tepe are directed south, their twin central monoliths aligned to target the rising of either the three belt stars of Orion (Schoch, 2014, 54-55) or the bright star Sirius (Magli, 2014). However, not only have these alignments been shown to be either dramatically flawed or, in the case of Orion, non existent (Collins, 2014, 77-80; Collins and Hale, 2014), but there are far better reasons to assume northerly orientations of key enclosures at Göbekli Tepe. 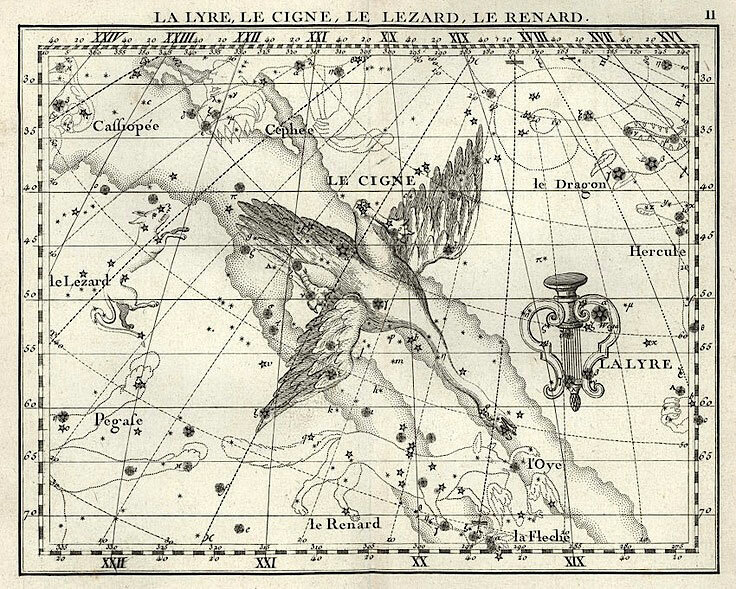 Both the mean azimuths of the twin central pillars in Enclosures C and D, along with the positioning of the soul hole stones, target the setting of the bright star Deneb in the constellation of Cygnus on the north-northwest horizon during the epoch of their construction, ca. 9500-8900 BC (Collins, 2014, 80-82, and see fig. 11). The stars of Cygnus sit astride the Milky Way, exactly where it bifurcates or forks to create two separate streams known as the Dark Rift or Cygnus Rift (see fig. 12). This area of the sky has been seen as an entrance to the sky-world for many thousands of years, and seems even to be depicted within the ice age cave art at Lascaux in Southern France, created by Solutrean artists ca. 16,000 BC (Rappenglück, 1999). It thus makes sense why the Göbekli builders might have orientated key enclosures north towards this already ancient entrance to the Upper World, where access to the Milky Way – long seen as the river, road or path along which souls reached the afterlife – was located. A northerly orientation towards the soul hole stones in the main enclosures at Göbekli Tepe is now supported by the discovery of the bone plaque displayed at Sanliurfa Museum. 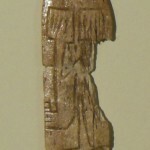 The manner in which its carved imagery clearly implies that the entrant’s eyes are drawn towards the soul hole, like those seen in Enclosures C and D, bears out this supposition, and supports the likelihood that the Milky Way, and in particular the Dark Rift and Cygnus stars, were of primary importance to the beliefs and practices of the Göbekli builders. 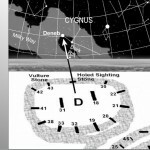 This conclusion is, however, challenged by journalist and ancient mysteries writer Graham Hancock in his new book Magicians of the Gods, who has come out in favour of the enclosures at Göbekli Tepe being orientated towards the stars of the southern night sky. 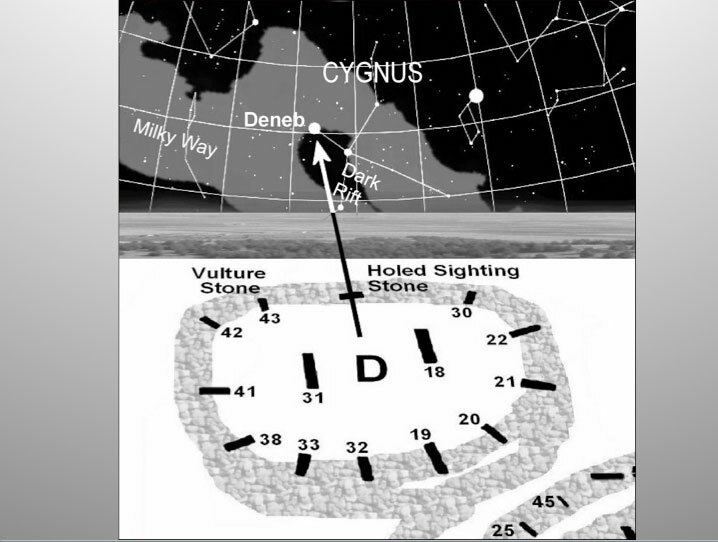 He states that a northerly orientation of the main enclosures towards the stars of Cygnus would have been impossible as “Enclosure D is built into the side of the steep ridge of the Tepe that rises to the north of the main group of enclosures (Hancock, 2015, 331).” However, this is not so. 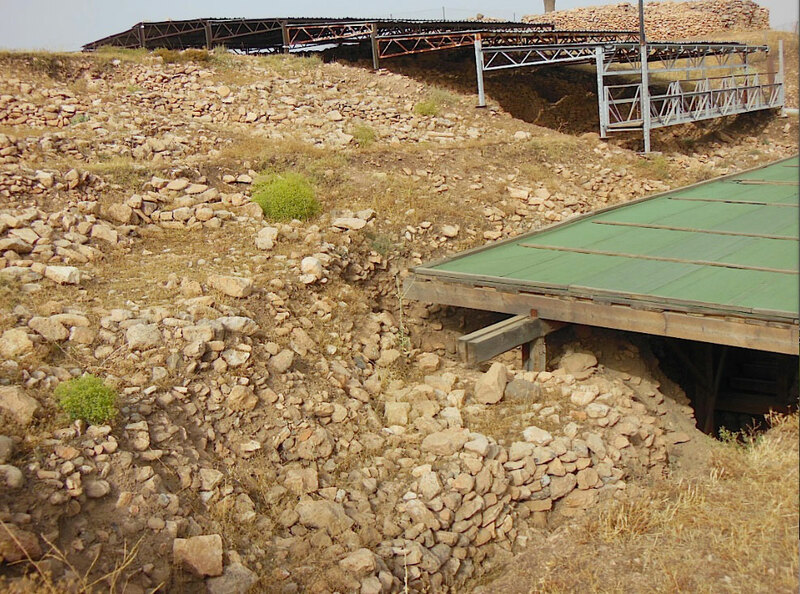 The occupational mound, which is 15 metres in height is entirely artificial, each layer being built up on the level bedrock in order that younger structures might be placed one on top of the other (see figs. 13 & 14). The idea that some kind of “core mound,” of solid rock might exist to the north of the main enclosures was a theory originally proposed by Professor Klaus Schmidt (personal communication with the present author in September 2013). However, to date no physical evidence for a “core mound” at the site has come to light. 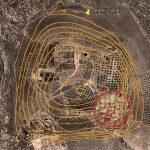 Indeed, the georadar survey conducted in 2004 failed to accurately map even the deepest enclosures, a fact admitted by Schmidt to Hancock in 2013 with the words, “… our geophysical mapping did not give us complete results and we cannot really see inside [the occupational mound],” Hancock, 2015, 11). 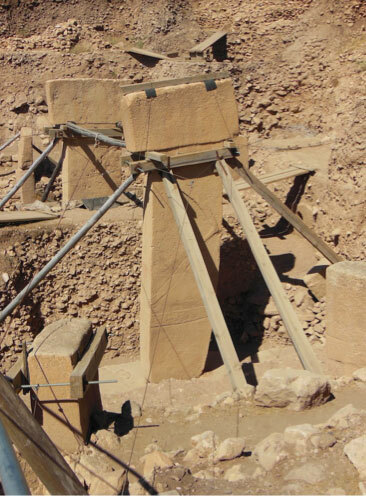 What is more, the orientation of the rocky spur jutting out towards the south immediately southeast of Göbekli Tepe indicates that the bedrock actually slopes very slightly downwards towards the north. This suggests there would have been a clear view from the site of the occupational mound across to the northern horizon. Obviously, whether or not other features, such as earlier structures and monuments, might have impeded the view between the enclosures seen today and the northern horizon remains to be determined. This data will only come from future excavations at the site. Yet right now the tiny bone plaque found at Göbekli Tepe is compelling evidence that those who entered Enclosures C and D during their heyday gazed beyond their twin central pillars towards the northerly placed holed stones in order to orientate their ritualistic activities. Here, in this direction, was to be found the entrance to the astral realms accessed during altered states of consciousness, as well as the supernatural forces perceived as pouring through the soul holes into the physical world. In symbolic form at least, the creation of the bone plaque was to help its owner channel these same energies, even when away from the site itself. 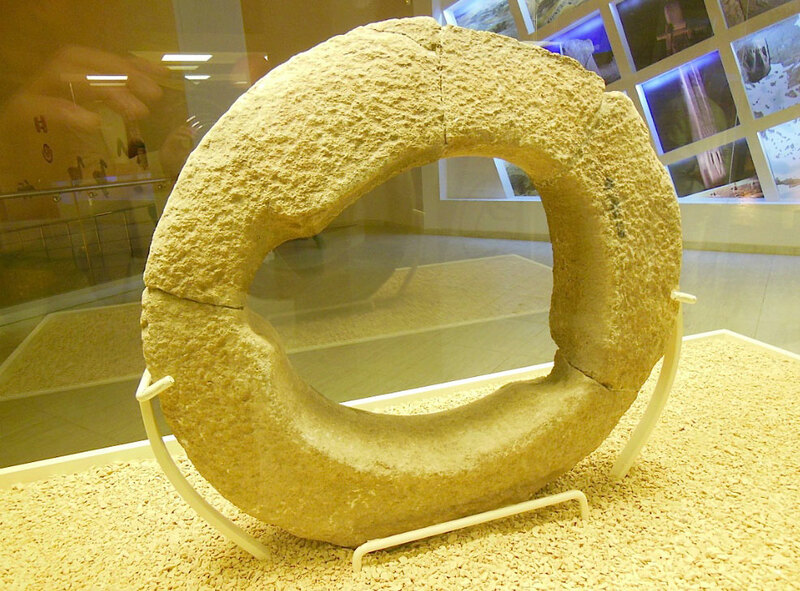 Yet for some reason it remained at Göbekli Tepe, either deposited here by its artist, or left here by a priest or some later visitor to the site. Whatever the reason, its existence dramatically increases our knowledge regarding the function and orientation of this incredible ancient site, and provides us with a valuable insight into the mindset of those who created its earliest enclosures some 11,500 years ago. 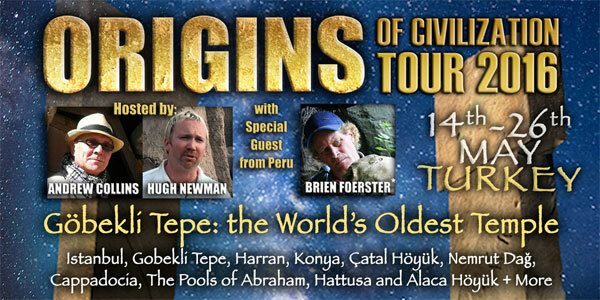 Andrew Collins is one of the world’s foremost experts on Göbekli Tepe, having first visited the site in 2004. 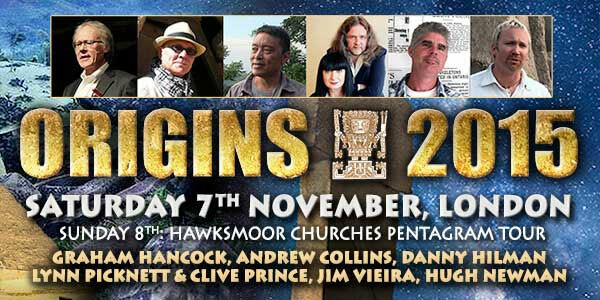 He has been investigating its Pre-Pottery Neolithic culture for over 20 years, and is the author of various books that feature the subject including From the Ashes of Angels (1996), The Cygnus Mystery (2006) and Göbekli Tepe: Genesis of the Gods (2014). His website is www.andrewcollins.com. Collins, Andrew. Göbekli Tepe: Genesis of the Gods. Rochester, VT: Inner Traditions, 2014. Collins and Hale, “Göbekli Tepe and the Rising of Sirius,” 2013, https://www.academia.edu/5349935/GÖBEKLI_TEPE_AND_THE_RISING_OF_SIRIUS (accessed September 15, 2015). Hancock, Graham. 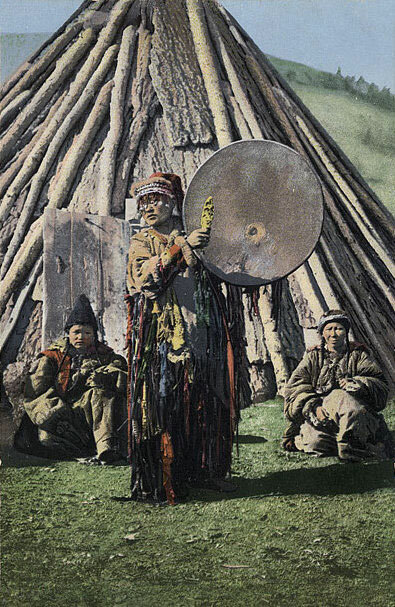 Magicians of the Gods: The forgotten wisdom of earth’s lost civilisation. London: Coronet, 2015.
http://arxiv.org/abs/1307.8397 (accessed September 15, 2015). Rappenglück, Michael A. Eine Himmelskarte aus der Eiszeit? Frankfurt am Main, Germany: Peter Lang, 1999. Schmidt, Klaus. Göbekli Tepe: A Stone Age Sanctuary in South-eastern Anatolia. Berlin, Germany: ex oriente e.V., 2012. Schoch, Robert. Forgotten Civilization: The Role of Solar Outbursts in Our Past and Future. Rochester, VT: Inner Traditions, 2012. Perhaps I am seeing things that are not there, but didnt the figure standing there look like Thoth.